A man was assaulted and robbed while walking near Third Street in Riverhead early Friday morning, town police said. The victim told investigators that two men attacked him and stole his wallet before fleeing the scene. He was taken to Peconic Bay Medical Center, where he was treated for a laceration above his eye and released. The wallet was later found near the location of the crime without the man’s money or credit cards inside. * Riverhead Police executed the arrest of two women on behalf of the state attorney general’s medicare fraud unit Friday. Lauren Young, 61, was charged at police headquarters with falsifying business records. At the same time, police arrested Catherine Shea, 53, of Patchogue, who was charged with first-degree perjury. Both arrests occurred about 9:30 a.m.
No details were immediately available. * Joseph Addamo, 17, was charged with driving while ability impaired about 4 p.m. Saturday after he hit another car on Main Road in Aquebogue Saturday, town police said. * Arthur Lane, 39, of Hampton Bays was charged with second-degree aggravated unlicensed operation of a motor vehicle Friday after he allegedly rear-ended another car in downtown Riverhead. Police said Mr. Lane was traveling east on West Main Street about 6:30 p.m. when he hit the other car. * Anthony McCoy, 25, of Riverhead was charged with second-degree forgery and criminal possession of a forged instrument at Martin Drugs on Old Country Road in Riverhead last Wednesday. The arrest occurred about 4:30 p.m. No additional information was available. * Marcellis Hudson, 43, of Riverhead was charged with seventh-degree criminal possession of a controlled substance last Tuesday, police said. 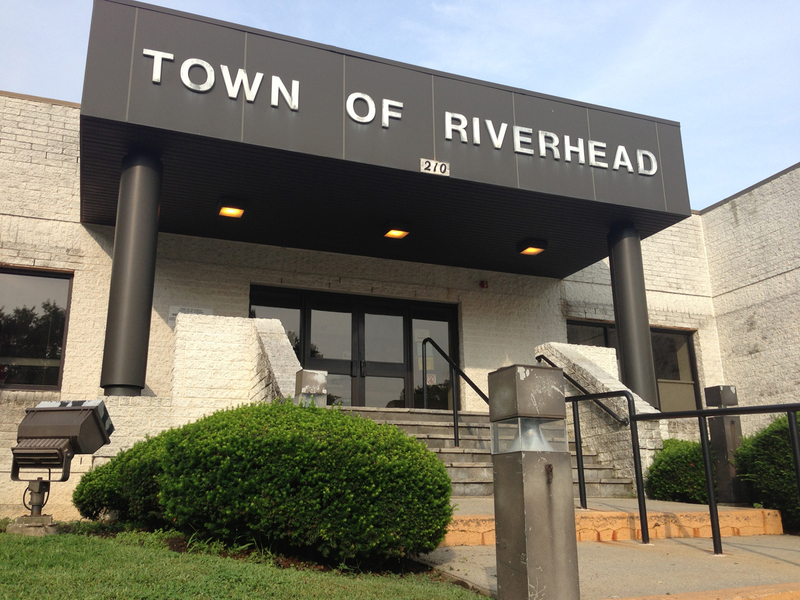 The arrest occurred about 2 a.m. on East Main Street in Riverhead. No additional information was available. * Estabon Arp, 17, of Riverhead was charged with disorderly conduct at Riverhead High School on Friday. The arrest occurred about 8:30 a.m.
* Someone painted a white Chevrolet SUV pink while it was parked outside Pulaski Street Elementary School Monday. The incident was reported about 5:30 a.m. No arrests have been made.